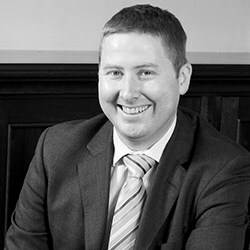 Rhys is a specialist matrimonial finance lawyer whose practice encompasses both financial remedy applications following divorce and also a significant amount of civil law disputes between co-owners of land and business assets in the family context. Rhys’ dual expertise in both family and civil proceedings can be of particular value in a dispute engaging both jurisdictions. Rhys was called to the Bar in 1996 and is based at Thirty Park Place Chambers and at 36 Bedford Row. As a practising barrister, in addition to his role as an arbitrator, Rhys is able to act as an advocate in and advise upon the conduct of IFLA arbitrations. 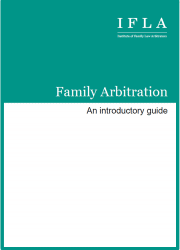 Rhys was one of the first practitioners to qualify as a family arbitrator and is a member of the Chartered Institute of Arbitrators. He was voted (jointly, with Peter Singer and Gavin Smith) Jordans “Most Innovative Lawyer of the Year” 2012, for his work in setting up and co-editing the FamilyArbitrator website. Rhys was also the joint lead author of IFLA’s submission to the Law Commission for its Matrimonial Property, Needs and Agreements report. The submission can be read here. Rhys is also a collaborative lawyer and is able to act as a neutral impasse breaker for parties involved in the collaborative process. 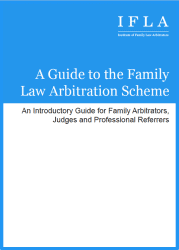 Rhys is a member of the Family Law Bar Association. Away from his usual practice, since 2008, Rhys has sat in a judicial capacity as a part-time legal chairman of the Residential Property Tribunal (Wales) which determines long leasehold disputes, including collective enfranchisement claims, lease extensions and service charge disputes. The tribunal is frequently called upon to determine complicated and lengthy disputes in a low key and informal matter.